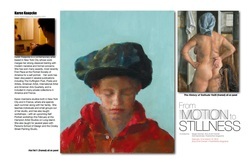 From Motion to Stillness is an exhibition and a publication seeking to explore aspects of stillness, quietness, reflection, meditation, inner-peace, solitude, reflection and calmness as a human experience. Despite living in a fast-paced and rapidly changing world, From Motion to Stillness invites the viewer and the reader alike to pause for a moment and experience stillness as interpreted by some of today's most exciting contemporary artists and poets. Exhibition Dates: February 15 to March 10, 2013 Opening Reception: Friday, February 15 from 7 to 10 pm. 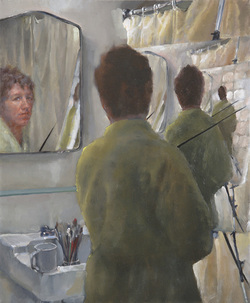 Nancy Bea Miller writes about my self-portrait work for her highly regarded blog, Women In The Act of Painting. "Converge: Where Classical & Contemporary Collide" is a fine-art exhibition and sale featuring painters who embody the best of both art worlds: the skill and tradition of the classical world and the content and critical thinking of the contemporary world. The exhibition will be on view at 25CPW Gallery in New York City (25 Central Park West at 62nd St.) from November 15-27, and the opening reception on November 15 is open to the public. Personal appointments to view the artwork and learn more about the exhibiting artists can be made by contacting curator Allison Malafronte at ConvergeNYC2012@gmail.com. 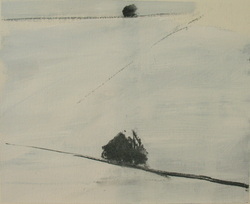 7 of my paintings will be on view at the Gillock Gallery in Evanston, IL. Opening Reception October 18 from 7 - 9pm. 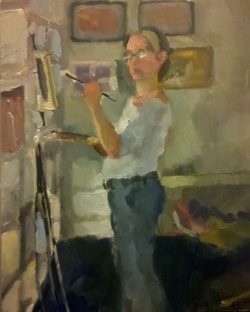 This Self Portrait, as a finalist in the American Artist Magazine's Self-Portrait competition, appears in the September 2012 issue of the magazine, with a nice paragraph explaining a bit of how I work. 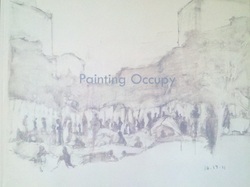 My series of 5 Occupy Wall Street paintings, painted on site at Zuccotti Park during the encampment in the fall of 2011, will be exhibited as part of Brooklyn Utopias: Park Space, Play Space show. Located in the Old Stone House and Washington Park at 336 3rd St (between 4th and 5th Avenues, Brooklyn), and celebrating the renovation of this important historic landmark, the show explores ideas of Utopia and the use of public space. 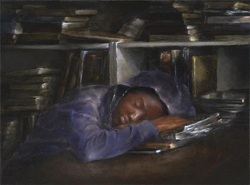 To purchase the book of my paintings, follow the"Painting Occupy" tab at left. Please call in advance to visit the show to make sure that the museum is open: 718-768-3195. 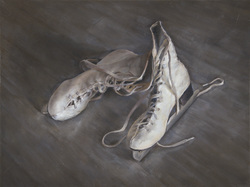 "11" was on exhibit at the Salmagundi Club March 18th to March 30th. 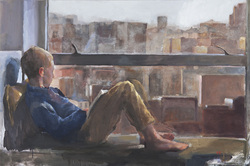 "Self-Portrait While The Houseguests Go Out For the Morning" was on exhibit at the Salmagundi Club March 18th to March 30th. 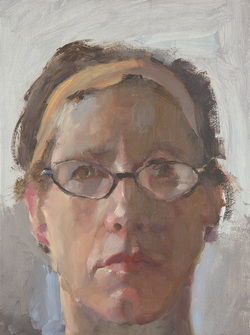 My painting: "Self Portrait with Crooked Glasses" took first place in the annual Portrait Society of America Members Only competition. The honor will include an article in the upcoming issue of International Artist Magazine, as well as several others. Stay tuned for more information! 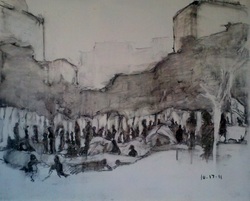 During the time the OWS protestors were occupying Zuccotti Park, I went down and joined them on many occasions. I began a painting project which expressed much of my support, sentiments and enabled me to participate with my heart. 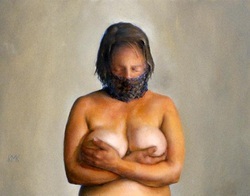 The project was picked up on by the award-winning Arts and Culture blog Hyperallergic. Click on the painting to be directed to the article. 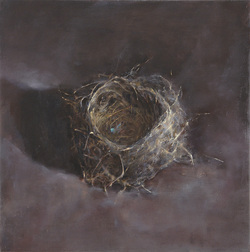 "Nest in D Minor" was exhibited at the National Arts Club from October 4 through October 28th, 2011. 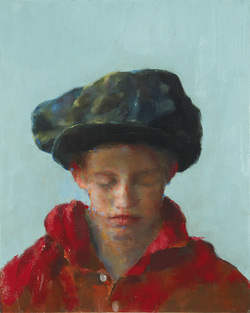 "Grandpa's Hat", my painting of my son August, was selected for inclusion in the Butler Institute of American Art's 2011 Midyear Exhibition. The Butler Institute is located in Youngstown, Ohio. 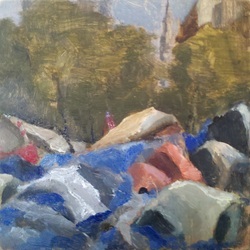 "The History of Privacy" was recently on view at the Salmagundi Club, 47 5th Ave, NYC. 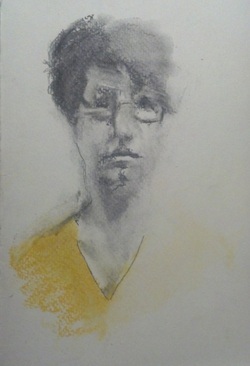 My drawing "Study for 'See No Evil'" was recently on view at the Fontbonne University Art Gallery (St Louis, MO) as part of the highly regarded "Figure Now 2011" Exhibition. 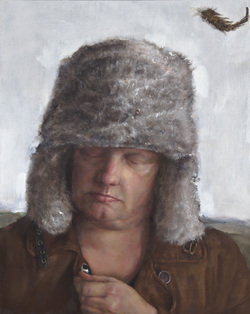 It remains on view until March 1. 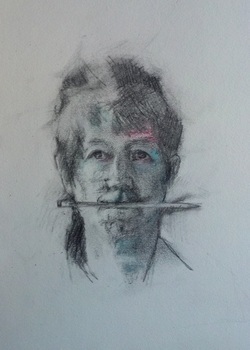 The drawing also won the Lilian Ciaravino Memorial Award for Graphics at the National Arts Club CLWAC exhibition, Autumn 2010. 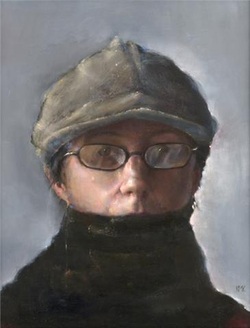 "Self-Portrait with Hat and Scarf" was selected for inclusion in the "Women Painting Women" exhibition at the Robert Lange Studios. 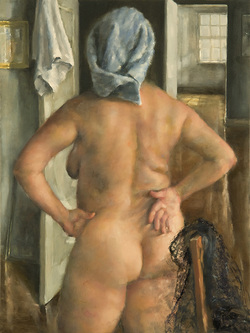 The show brought together work by internationally recognized female artists painting the female form.